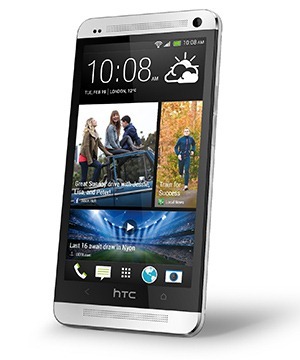 If you've been looking longingly at the HTC One, now may be the time to make a move. Radioshack is selling the AT&T and Sprint versions for a good price with a new account, but you also get $100 in Google Play credit. That means the you can come out ahead on the Sprint version. 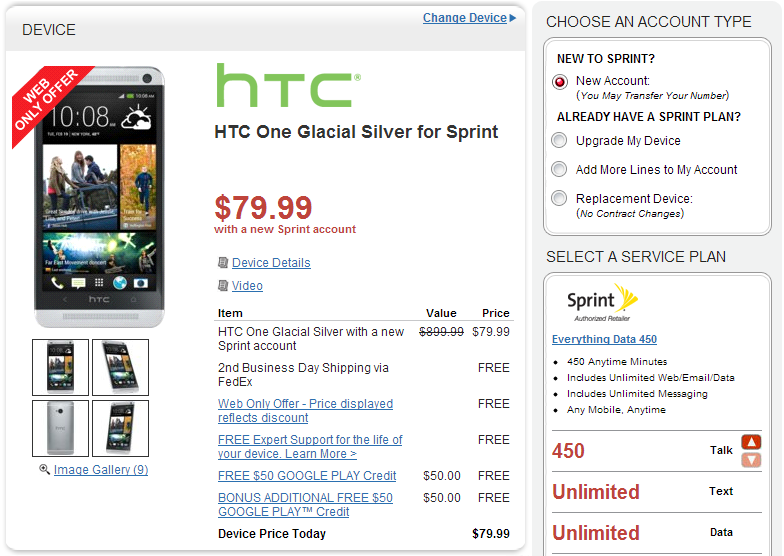 The Sprint One can be purchased online, but that sweet $79.99 price is only for new accounts and new lines. Upgrades are $129.99. The AT&T One is only in stores, and it's $149.99 for new accounts. Figure in that $100 Google Play credit and you're looking at a net cost of $49.99 for the AT&T edition, and –$19.99 for Sprint. It's like they're giving you money to take the phone. These deals are only valid through June 30th, which gives you some time to scrape together the up-front cash. That Sprint deal is amazing, but even the AT&T one is solid if you can drag yourself out of the house.